Herringbone flooring appeared during the Baroque period in Europe and it is one pattern that has consistently kept its popularity. 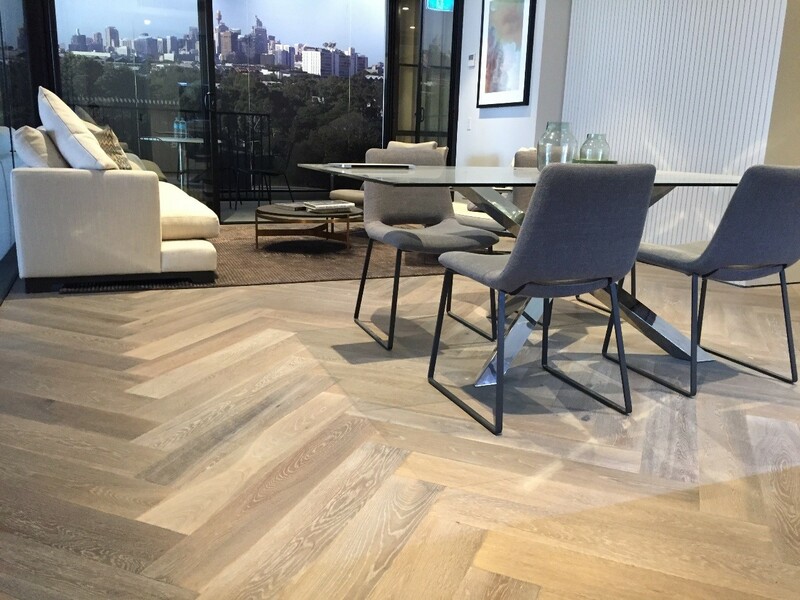 This traditional floor design is still commonly used in some of the most prestigious buildings in Europe and one that we are seeing used more and more in high end buildings in Australia. It’s stylish and sophisticated yet oh so contemporary! The herringbone pattern creates beautiful and symmetrical flooring, making it one of the most sought after wood flooring patterns. This desirable design isn’t going anywhere any time soon and it’s clear to see why. Aside from being a beautiful flooring texture, herringbone has the ability to create depth within spaces. The pattern attracts the eye in different directions, drawing them into rooms, towards artworks, and creating a visual point of interest on the floor. With herringbone, your flooring is no longer just flooring, it’s a feature! This distinct patterns adds depth and difference to any room. At Style Timber, we offer herringbone flooring in three standard colours, or we can produce any of our colours in a herringbone board! Get in touch for more information. Our CASA herringbone timber floor is made of select grade oak. In addition to standard widths, we also offer herringbone flooring in GIANT PLANKS (950mm*190mm*20mm). These giant planks are ideal for large open spaces and create an impactful impression. In addition to herringbone flooring being beautiful and traditional, herringbone can actually be achieved in a range of designs. This flexibility is one of the reasons why herringbone timber floor has maintained popularity and is still a highly selected pattern. At Style Timber, we can customise any patterns, precut them to your design. Herringbone timber floor can be installed either parallel to the walls or diagonally, opening up your design possibilities. This flexibility also allows you to select the best pattern for your space. 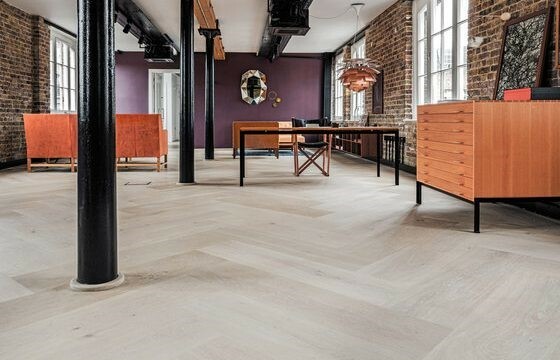 Did you know that herringbone flooring can actually make a narrow room appear wider? The multidirectional flooring planks create a sense of depth and can achieve the illusion of space in smaller areas such as narrow hallways. Get in touch to find out more about our herringbone flooring options and to sample our products.